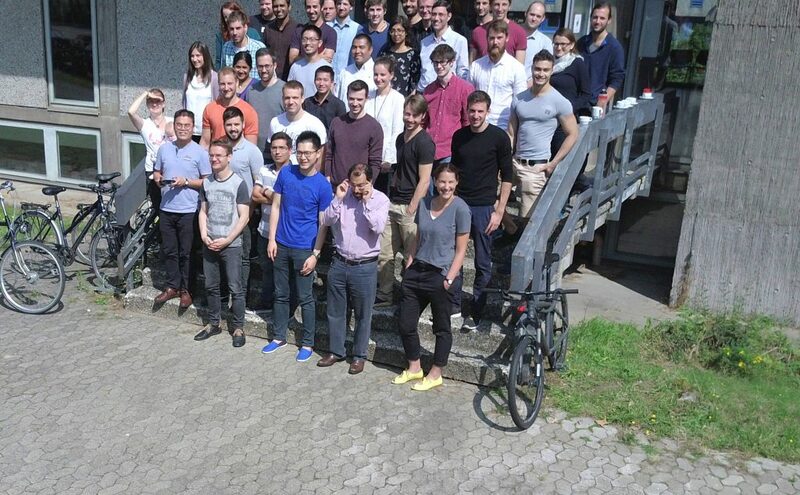 Due to the success of the previous two YAMM lunches at the GAMM Annual Meetings in Ilmenau/Weimar (2017) and Munich (2018), the GAMM Juniors have organized the YAMM lunch for the third time, taking place during the Annual Meeting in Vienna in 2019. This event addressed young scientists and established experts working in the fields of applied mathematics and mechanics. During this year’s YAMM lunch, we have welcomed twelve experts who represent different stages of the academic career path. An abundant buffet was served in the Kleiner Festsaal at the University of Vienna, which created a festive atmosphere due to its rich décor. The lunch started with a short opening by the organizers, who introduced all experts briefly. Afterwards, intensive discussions among participants and experts started. In contrast to the previous years, a specific topic was not selected in advance such that discussions were free to evolve about various topics, such as general experiences in science, career strategies, as well as challenges in academia, such as finding a good balance between work in science and private life. Once again, the interest of participants in the YAMM lunch was very high, i.e. all available tickets for the lunch had been sold out rapidly, such that the GAMM Juniors plan to organize the YAMM lunch for the fourth time during the GAMM Annual Meeting in Kassel next year. The GAMM Juniors would like to thank all experts taking part in this event, sharing their personal experiences and giving valuable advice, thus contributing to the succes of this events. Many thanks of the GAMM Juniors are also addressed to the local organizing committee for their support during the organization of the YAMM. 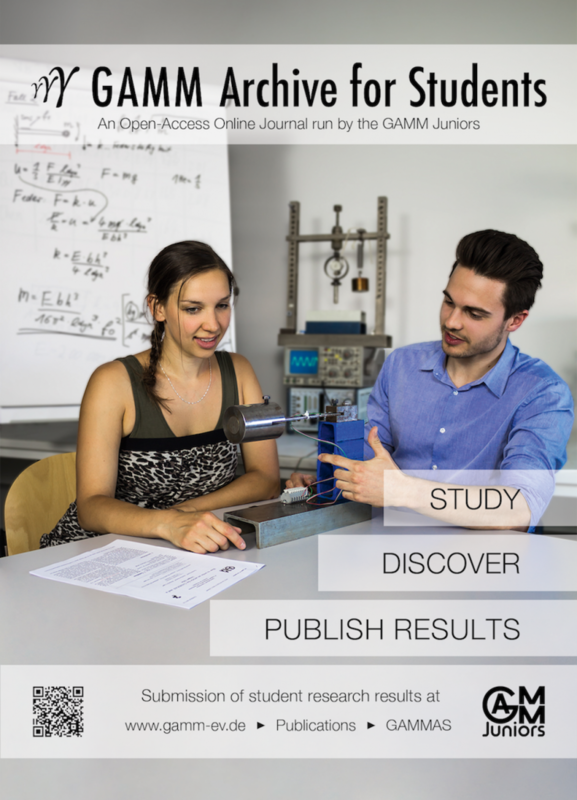 The GAMM Juniors were founded in 2012 to strengthen the voice of junior researchers and to support the rejuvenation of the Gesellschaft für Angewandte Mathematik und Mechanik (GAMM). Since then, each year ten new Juniors are appointed for a three year period. The GAMM Juniors are active members in many boards and committees of the GAMM and organize and host various events specifically addressing the interests of junior researchers throughout the academic year, in particular during the time of the GAMM Annual Meeting. We are proud to present the Activity Report of the GAMM Juniors, that highlights mosts the activities of the GAMM Juniors in the years 2012 until 2018. After more than two years of preparation, the new open-access journal GAMM Archive for Students (GAMMAS) is now online and has published its first article: ‘A Resonance Tracking Approach from Adaptive Control‘ by Meike Gierig and Lars Flessing. The GAMM Juniors encourage excellent Bachelor and Master students to submit their research results to GAMMAS. We particularly emphasize that GAMMAS also publishes failures, i.e., methods and tools that do not work for specific problems. To ensure reproducibility of results, all authors are encouraged to submit source code used for simulations along with their manuscript. During the setup phase, the GAMM Juniors discussed various conceptual detail such as the license type and the review mode and spend a lot of time to create the LaTeX template, the online journal systems, and many small details such as guidelines, the copyright notice, email templates, logos, and many other things. The first submission was used to optimize the journal process – giving the Juniors a new perspective about what is happening on the “other side” of a journal. We strive to establish GAMMAS as a recognized journal for student research and are looking forward to new contributions. For more information about our journal or to read the article, please visit our homepage. The fall meeting is the major annual event of the GAMM Juniors. 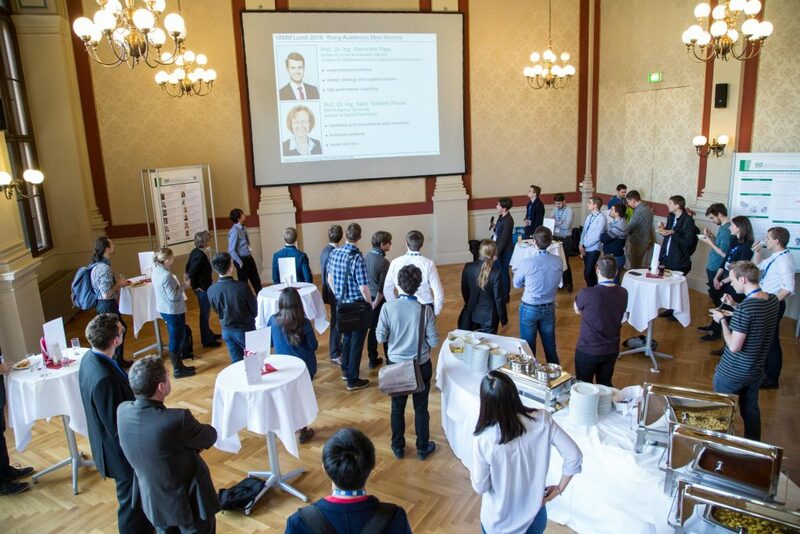 The three days of the meeting are a great opportunity for members of the GAMM Juniors to present aspects of their research, to get to know each other in an informal setting, and to organize future events and activities. 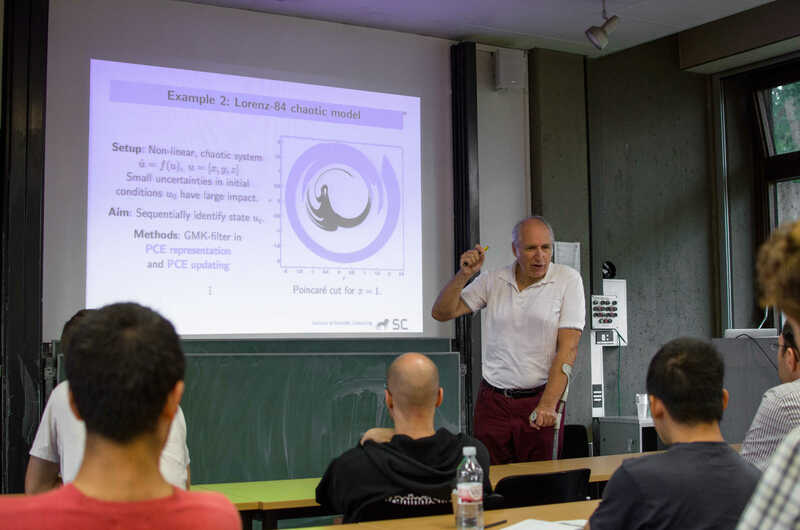 This year, the fall meeting was organized by the second deputy speaker of the GAMM Juniors, Robert Martin, at the University of Duisburg-Essen from September 5 to 7. On the first day of the meeting, a small workshop was held for which each participant had prepared a short introductory presentation about the most important aspects and research questions of his/her academic field. The goal of each presentation was to provide an overview about the most significant concepts and goals of the respective field rather than discussing a single result in greater detail. This way, the participants were able to gain a basic understand- ing of each other’s research and to identify often surprising connections with their own work. 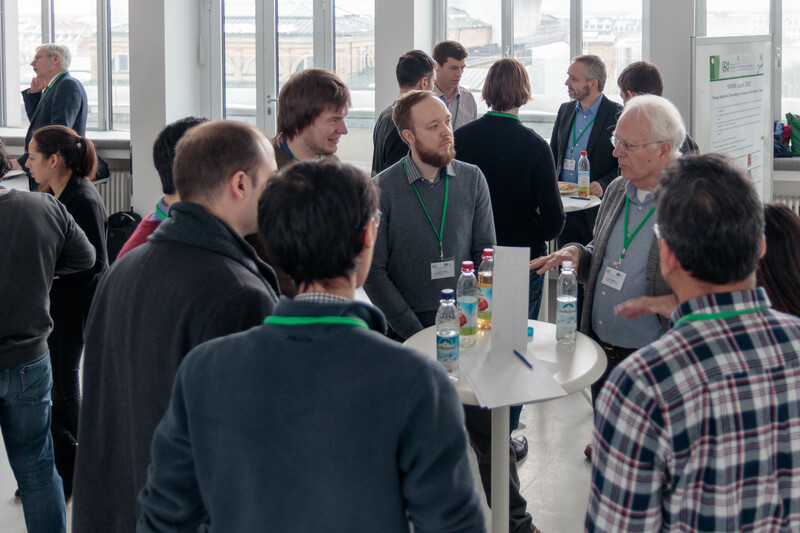 Many GAMM Juniors particularly enjoyed the collaborative and informal atmosphere of the workshop, which will hopefully spark interdisciplinary cooperations and foster the academic exchange between mathematicians and engineers within the GAMM. The two remaining days of the meeting were mostly devoted to reviewing past and organizing future events and activities. 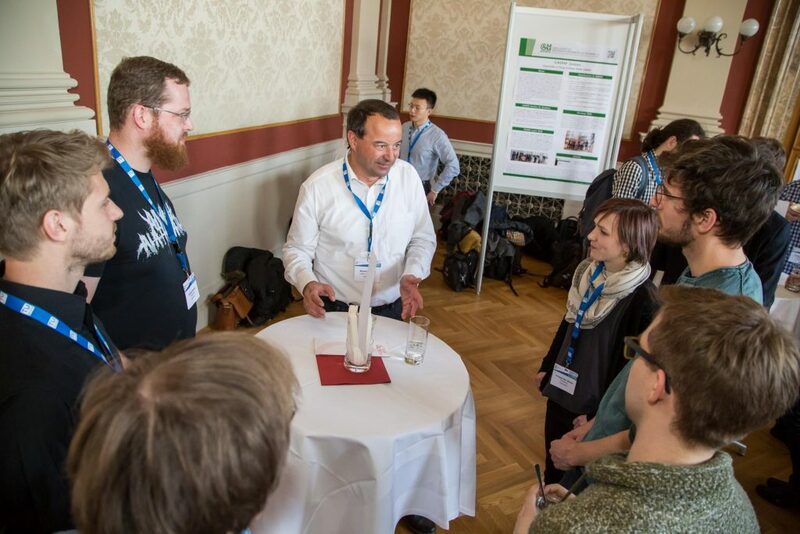 This included for instance the Young Researchers Meet Mentors (YAMM) lunch (formerly known as Young Academics in Applied Mathematics and Mechanics), which will bring together young researchers and experienced members of the academic community in an informal atmosphere for the third time at the GAMM annual meeting in Vienna in 2019. We also made significant progress towards the final version of the website of our new undergraduate research journal GAMM Archive for Students (GAMMAS), including the design of a new logo. We are proud that the first submission for the journal is currently in revision and hope that it will be the first of many articles to come. Another creative task carried out during the meeting was the design of a new logo for the GAMM Juniors. Based on a first draft made by Junior Philipp Morgenstern, we created a new version that will be presented soon. We are very grateful to Robert Martin for hosting the fall meeting and for organizing a very enjoyable social program. We also want to thank all participants for their contributions and for the good time we had together in Essen! happy to announce that the YAMM lunch will continue at the next annual meeting in Vienna. organizing committee for their support during the organization of the YAMM. The GAMM Annual Meeting will take place in Munich from March 19 – 23. As every year, the GAMM Juniors will organize a number of different events and activities during the meeting. 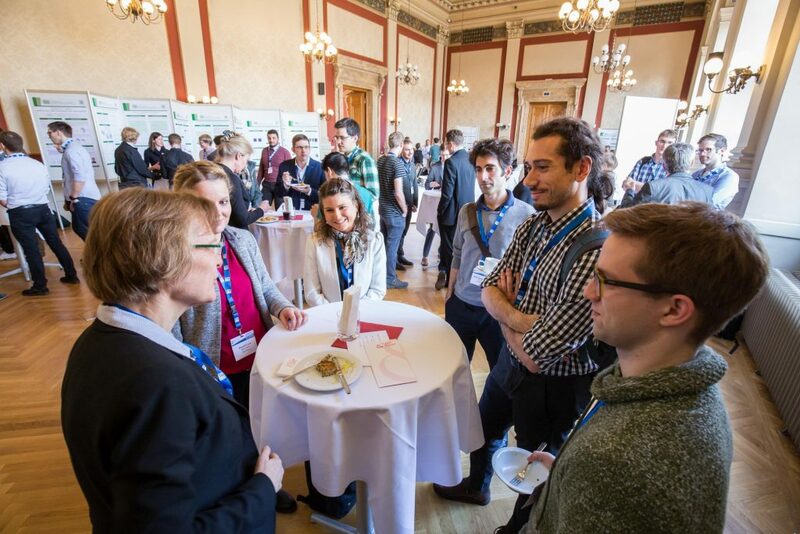 The traditional GAMM Juniors poster session is scheduled on Tuesday, March 20, during the the afternoon coffee break. 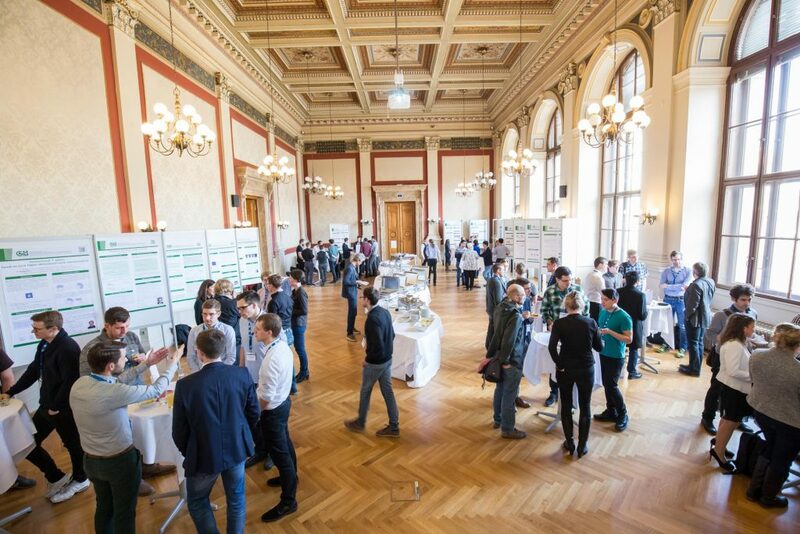 The poster session is an exclusive format for GAMM Juniors, where they can present their research and discuss their work with a broad audience. On Wednesday, March 21, 12:30 – 14:00, the GAMM Juniors will organize the YAMM (Young Academics in Applied Mathematics and Mechanics) luncheon. The YAMM which is a good opportunity for juniors scientists to discuss different aspects of their academic career with experienced researchers. This years main topic is “Family and Academic Career”. To participate in the YAMM, one needs to purchase a ticket when registering for the GAMM Annual Meeting. Please note that there is only a limited number of tickets available, so we strongly encourage anyone interested in participating to register for the annual meeting as soon as possible. As always, the annnual spring meeting of the GAMM Juniors will be held on Friday, March 23, in the afternoon, subsequent to the official ending of the conference. Members of the GAMM Juniors should take this into consideration when making their travel plans. Usually, the meeting ends at about 17:00. A detailed agenda will be provided in time before the conference. All former and present GAMM Juniors are invited to join the GAMM Juniors Alumni Dinner on Thursday evening at Schelling Salon(http://www.schelling-salon.de). Anyone interested in joining us should contact Dominik Kern, who is responsible for making the reservation. We are looking forward to seeing you in Munich! 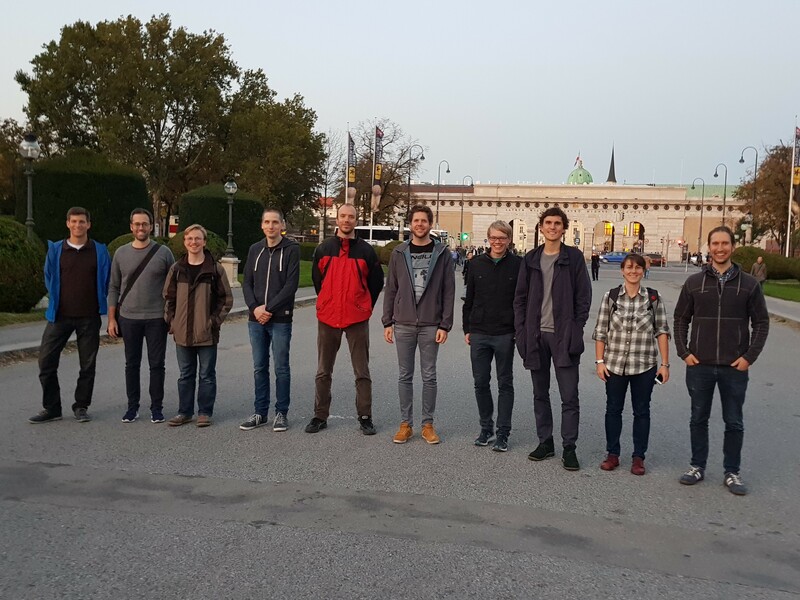 The autumn meeting of the GAMM Juniors took place from 27 to 29 September in the beautiful city of Vienna. By organizing the meeting outside of Germany for the first time, we hope to contribute to the ambition of the GAMM to be an international organization. The meeting was mainly organized by Melanie, who works as an assistant professor at the Institute of Lightweight Design and Structural Biomechanics at the TU Wien. Also for the first time, a short collaborative workshop was held on the first day of the meeting. The main goal of this workshop was to promote academic exchange between GAMM Juniors working in different fields and disciplines. We hope that all participants gained a basic understanding of the biggest questions, challenges and tools from other academic fields and we intend to host a similar workshop again at the autumn meeting next year. The remaining two days of the meeting were devoted to the organization of various projects and events such as the YAMM 2018 “Family and Academic Career”, which will be organized by Benjamin and Lutz at the annual GAMM meeting in Munich. We also made significant progress in setting up our undergraduate research journal and managed to make the first complete test runs from submission to publication with Open Journal Systems. Another major topic was the preparation of our input for the upcoming meeting of the GAMM Future Committee (Zukunftsausschuss). Besides hard work and academic exchange, we also found some time to enjoy Vienna and its surroundings. Melanie had organized a beautiful evening sightseeing tour through the city center as well as trip to the Kahlenberg, where we could enjoy some Sturm (young wine) directly at the vineyard. 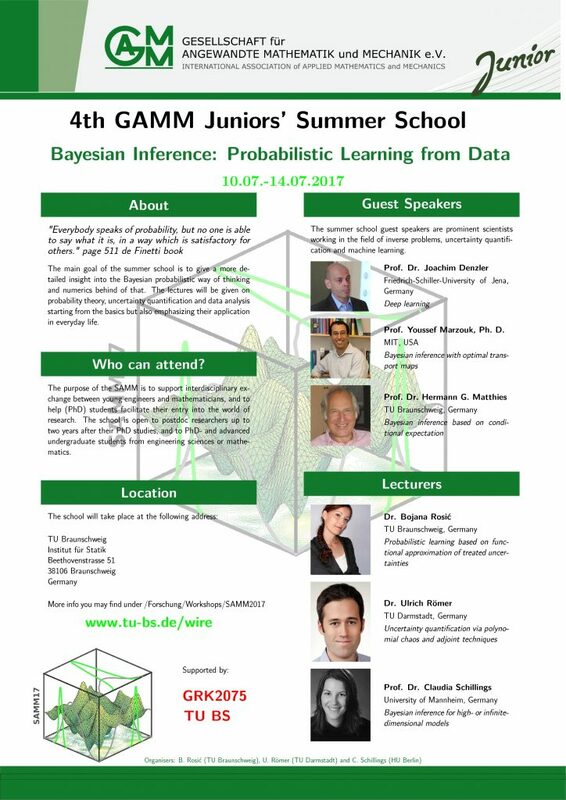 The 4th GAMM Juniors summer school on „Bayesian Inference: probabilistic learning from data“ took place from 10th July – 14th July at the TU Braunschweig. The school attracted 50 participants from Germany, Austria, France, United Kingdom, Czech Republic and other countries. Invited lectures were given by H. Matthies (TU Braunschweig), Y. Marzouk (MIT) and J. Denzler (University of Jena). These lectures covered a broad range of topics such as probability theory, uncertainty quantification, Bayesian inference and machine learning. 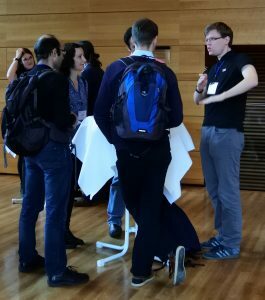 Further lectures and exercises on Bayesian inverse problems and uncertainty quantification were given by the organizers B. Rosic, C. Schilling and U. Römer. On Friday, several participants presented results from their own research to stimulate discussions. Additionally, there was an invited lecture by M. Eigel (WIAS) on Bayesian inversion in hierarchical tensor representations. The scientific program was accompanied by a guided city tour and a barbecue at the beach club Okercabana, which was well received among the participants. The support of GAMM and GRK2075 was crucial for the success of the summer school and is greatly acknowledged. 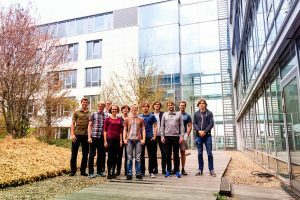 This year at the annual GAMM meeting Ilmenau@Weimar the first young Academics in Applied Mathematics and Mechanics (YAMM) session was held. This lunchbreak discussion brought together eleven experts with young interested PhD-students and post-doctoral fellows to discuss about career opportunities for young academics. The experts were coming from various stages of academic career being senior Post-Docs, junior-professors or senior professors with an own research group as well as this years von-Mises arwardees. 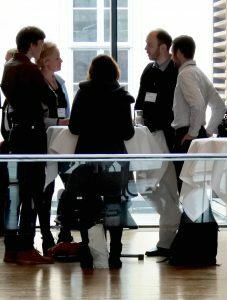 During an informal lunch valuable discussions about funding and career systems in different countries, strategies for successful application for research funding as well as about family and career emerged. Many thanks of the GAMM-Juniors are addressed to the local organizing committee for their support during the organization of the YAMM. The interesting questions of the participants and the valuable informations provided by the experts led to many fruitful discussions and made this first YAMM a success. So we are pleased to announce that the YAMM will continue at the GAMM 2018 in Munich with the topic “Family and Academic Career”. will take place from 10.07.-14.07.2017 in Braunschweig.